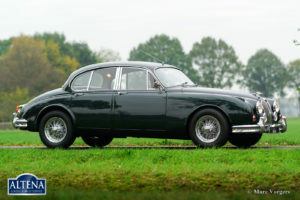 Jaguar MK II 3.4 Litre, year 1966. Chassis number 180222DX, body number E06433X, engine number KJ780X-X. ‘Matching numbers‘. 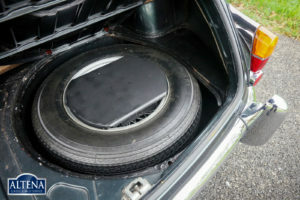 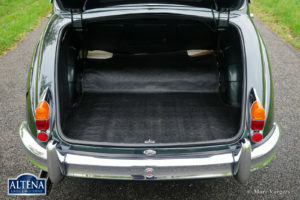 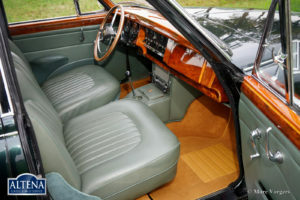 Colour green metallic with a pale green (suede-green) leather interior and pale brown carpet. 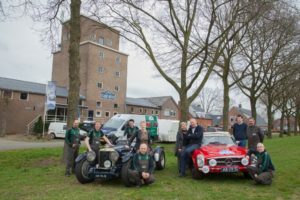 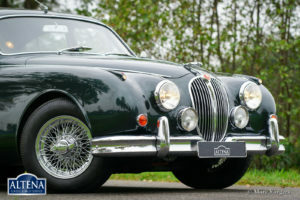 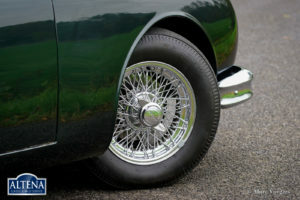 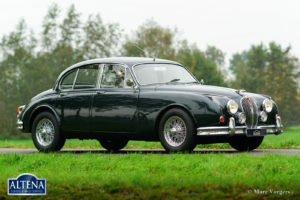 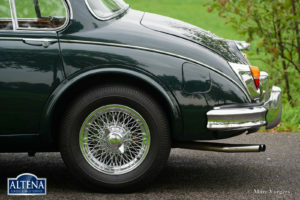 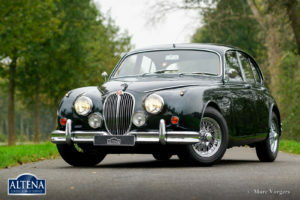 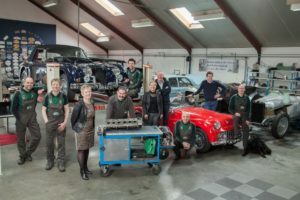 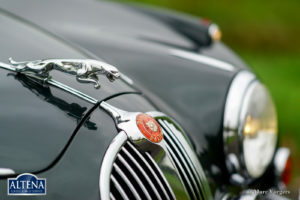 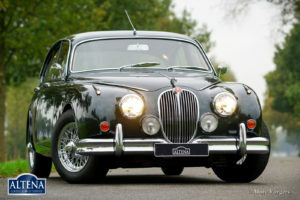 This wonderful Jaguar MK II 3.4 Litre saloon was extensively restored in the past, the automobile is in excellent condition. 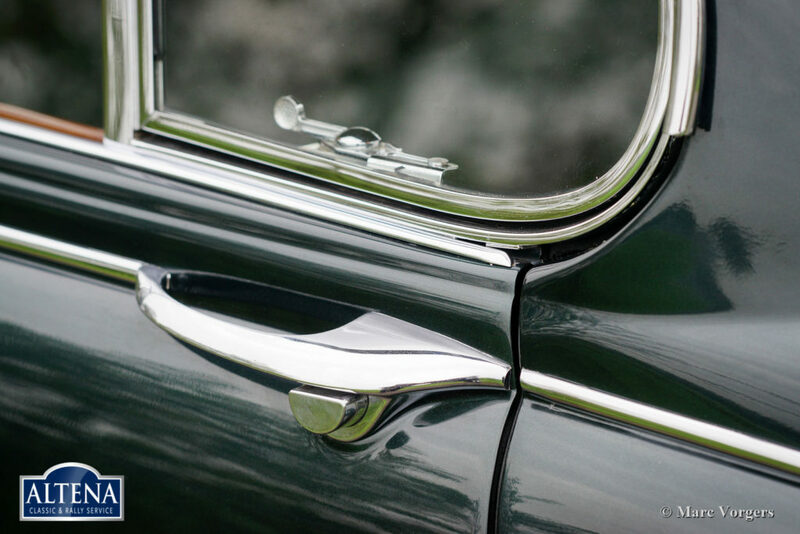 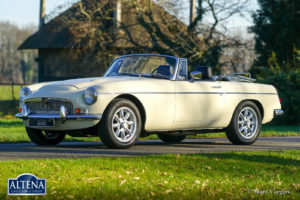 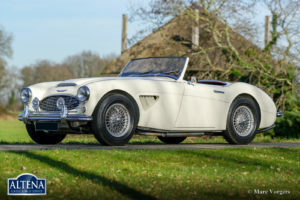 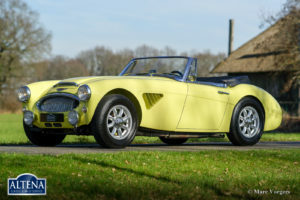 The bodywork shows beautiful panel fit, excellent paintwork and excellent chrome trim. 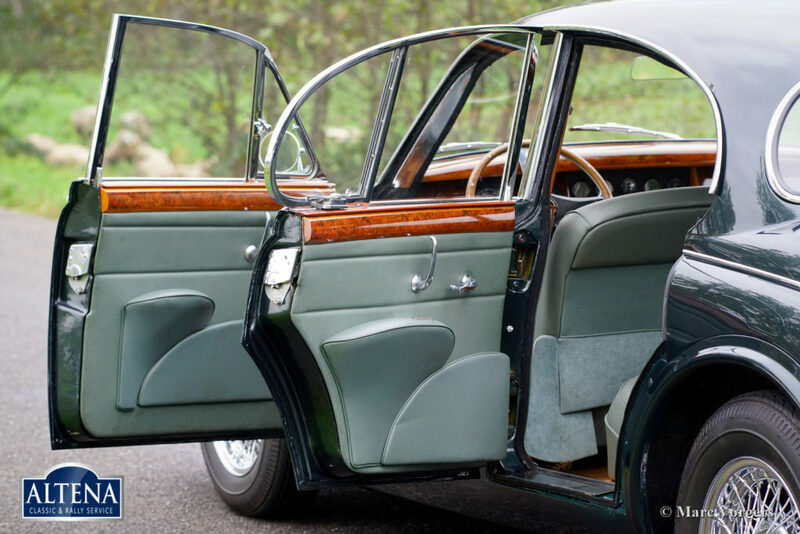 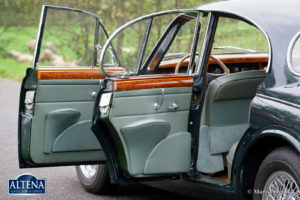 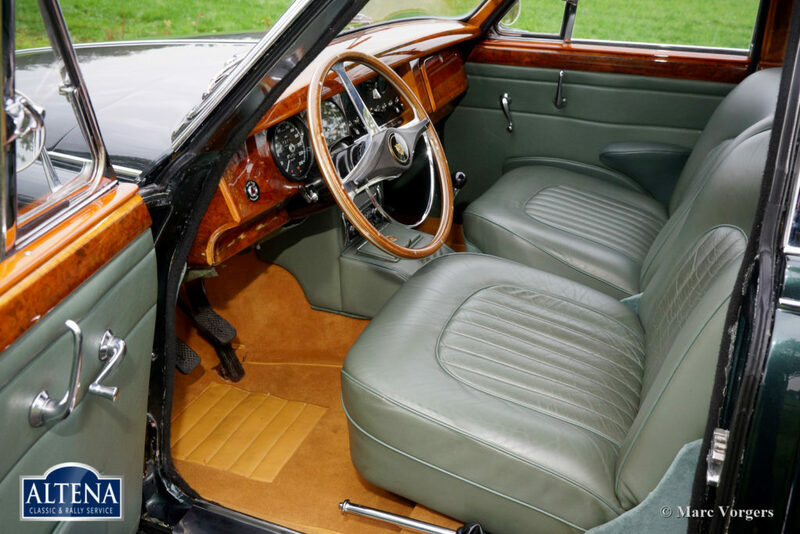 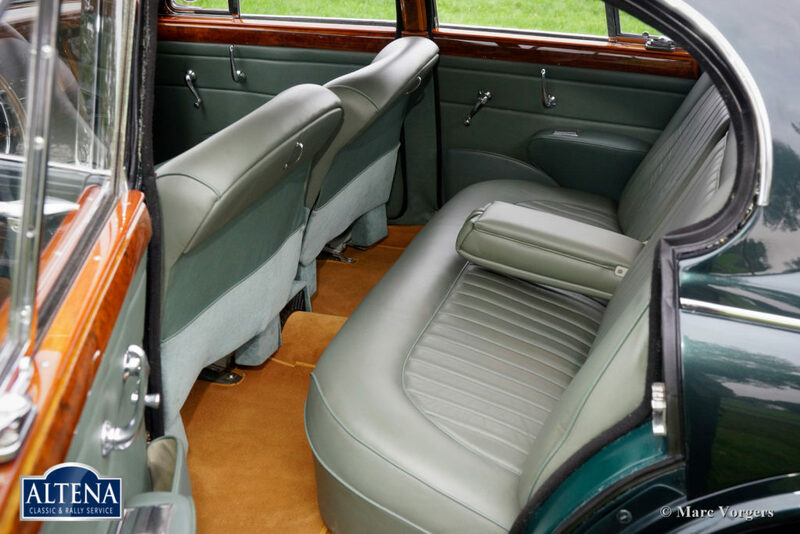 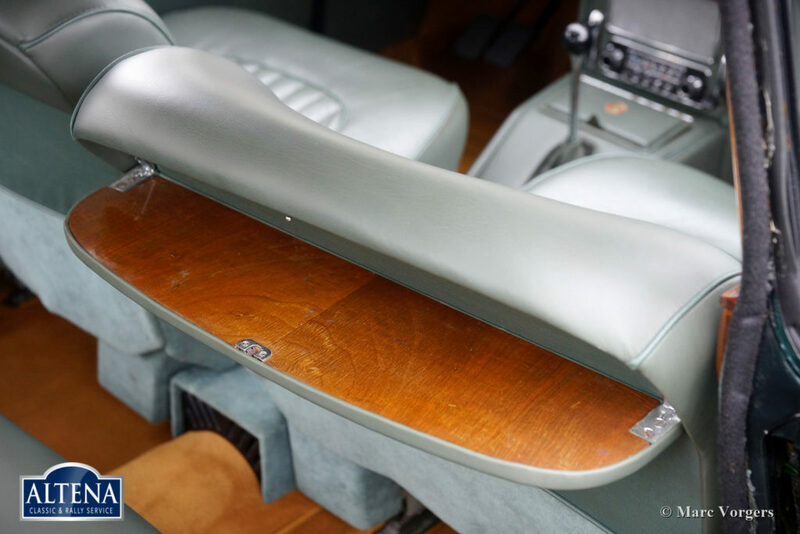 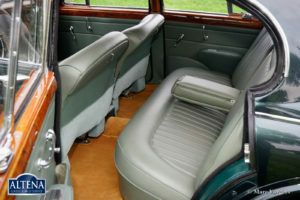 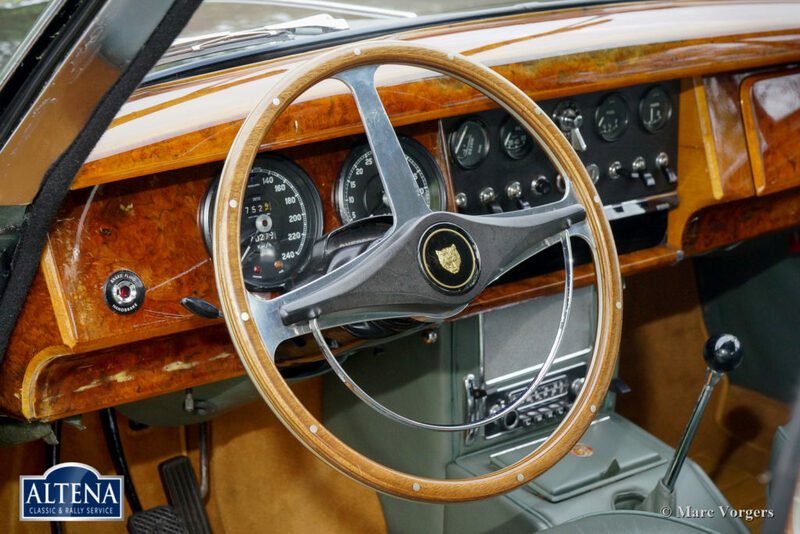 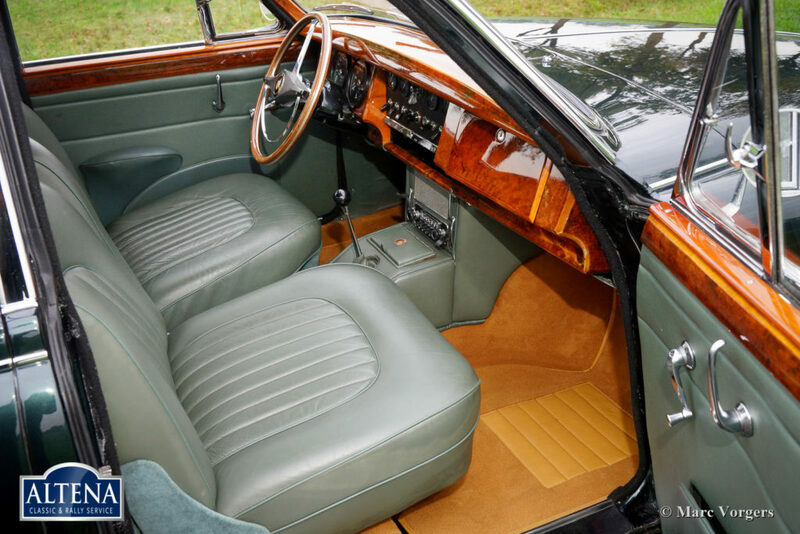 The interior is very luxurious with a lot of wood trim and beautifully chosen interior colours. 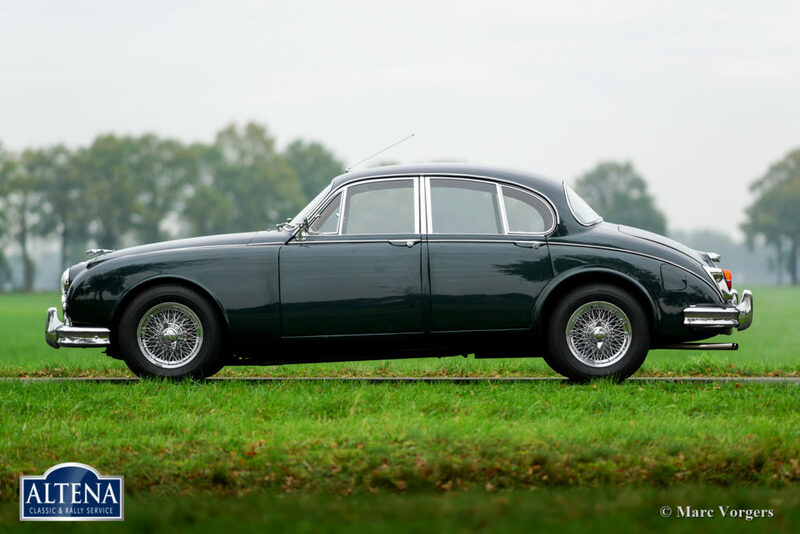 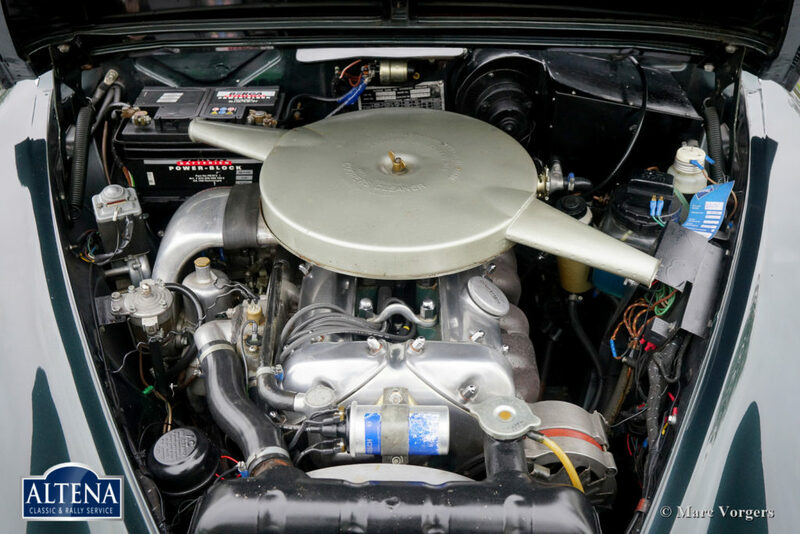 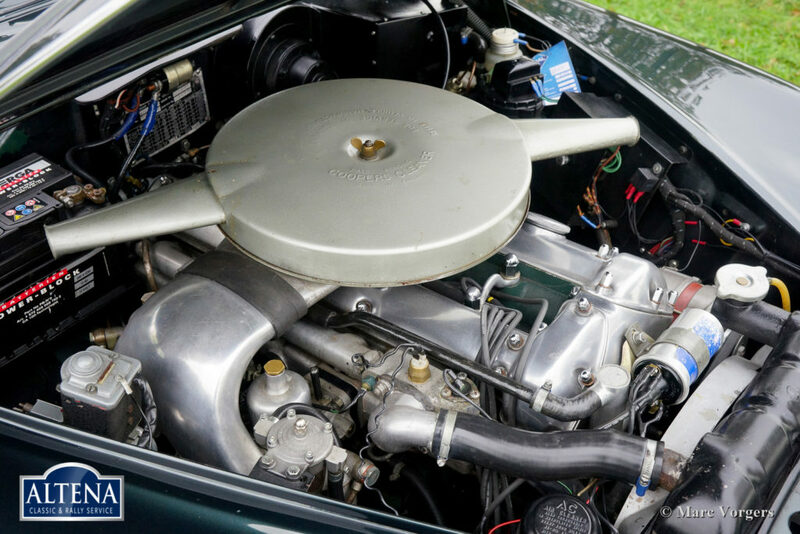 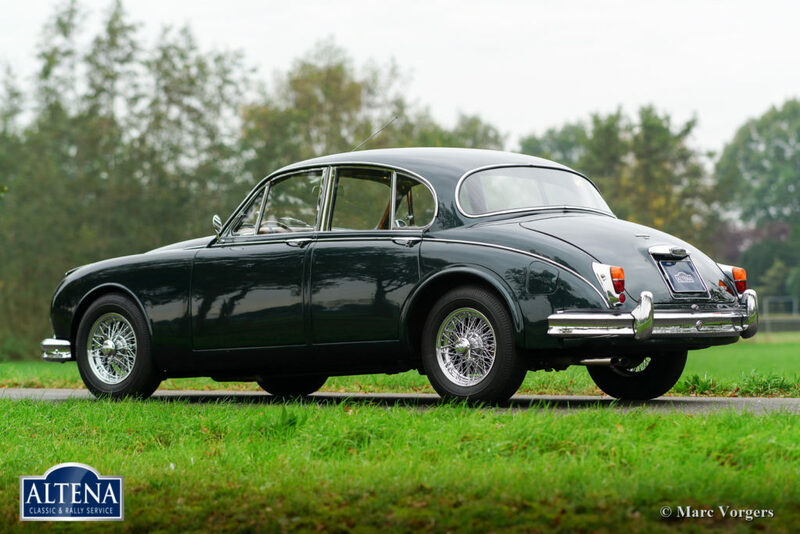 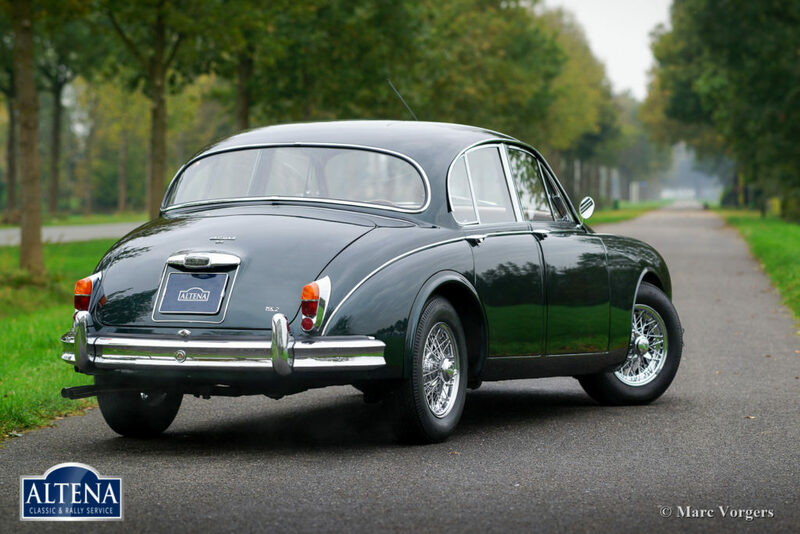 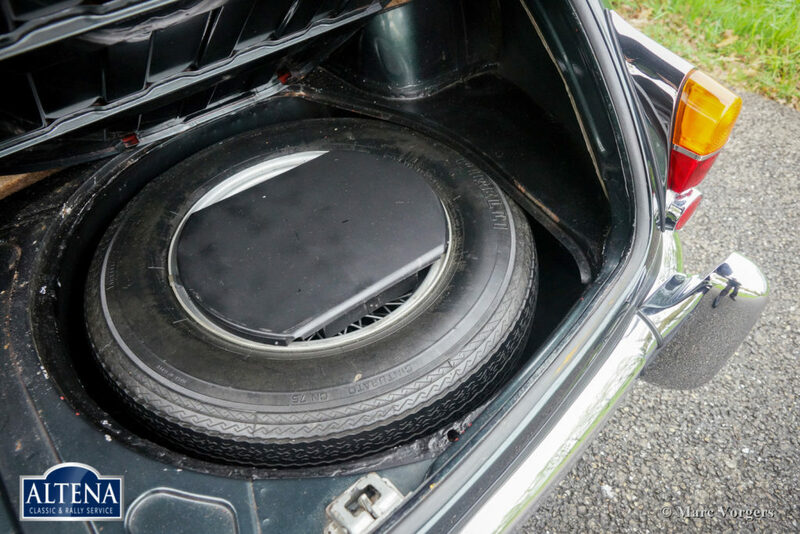 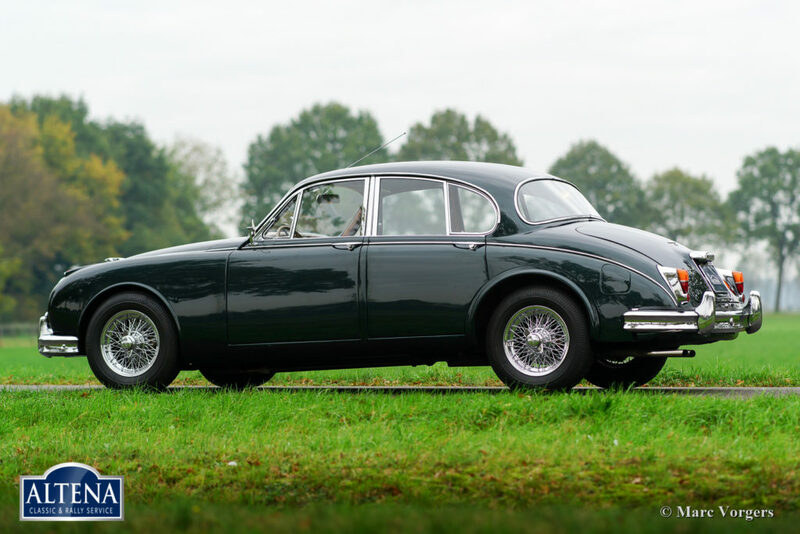 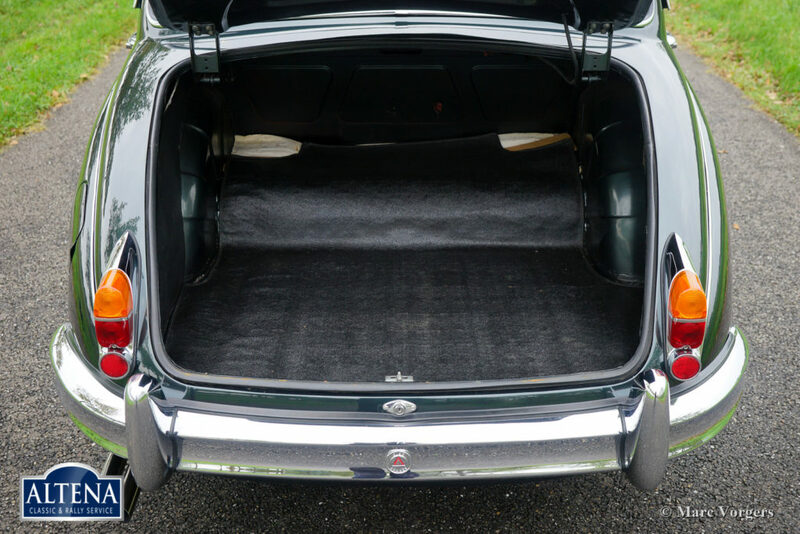 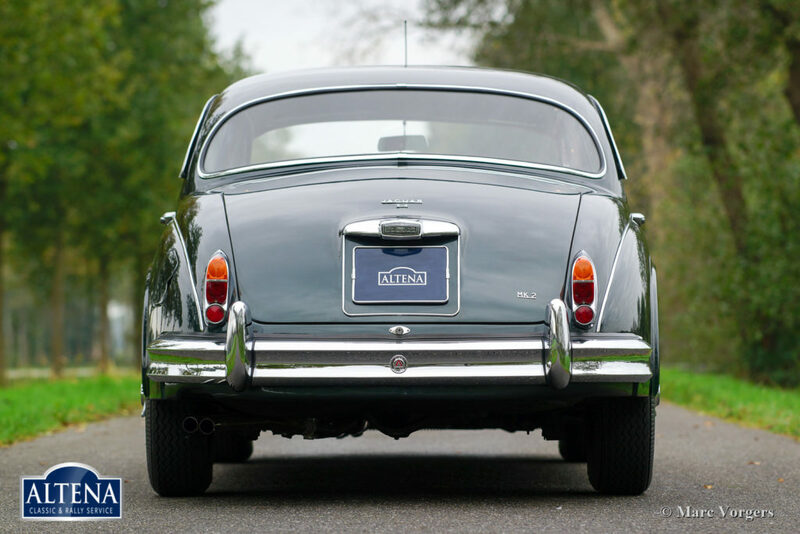 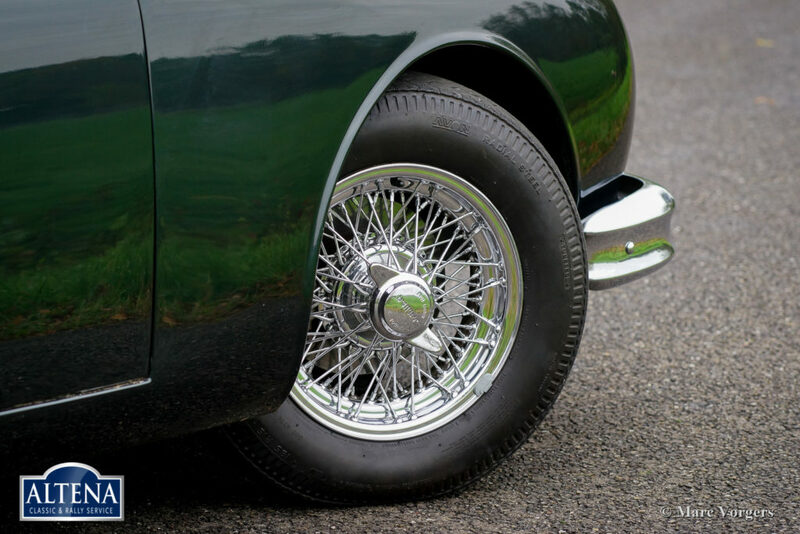 This fine Jaguar MK II features a manually operated 4-speed gearbox with overdrive; a very desirable combination. 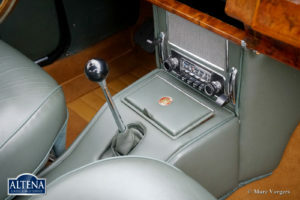 Additionally, the car sports electric power-steering which places the driving experience on an even higher level. Also, an up-rated alternator is installed, and the exterior is complimented by beautiful chrome wire wheels. 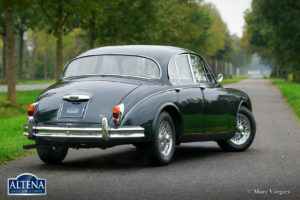 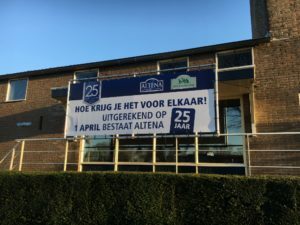 A wonderful example!